Only about 15 minutes from Dresden’s city centre, this family-run sports guest house enjoys an idyllic location near the Dresden Heath and Elbe bicycle route. 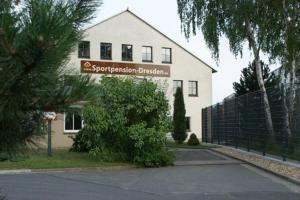 The Sportpension Dresden is set directly next to a multi-purpose sports hall. You can rent bicycles, play badminton and table tennis, or book activities such as aerobics, martial arts and fencing. The Elbe bicycle route at your doorstep stretches all the way to Saxon Switzerland. The guest house’s proximity to Dresden’s historic Neustadt district eansures easy sightseeing and shopping trips. The carefully prepared breakfast will give you all the energy you need.